EVIA, THE IDEAL DESTINATION FOR INCENTIVES, CONFERENCES, CONGRESSES, MEETINGS, BUSINESS TRAVEL,INTERNATIONAL CULTURAL AND SPORT EVENTS. The second largest island in Greece, mountainous Evia, is long and narrow, stretching over the Aegean Sea alongside the shores of mainland Greece, separated from it by the Gulf of Evia and the Straits of Evripos. It is often seen as merely an adjunct to the mainland it hugs so closely. Even the capital Chalkida, can’t seem to make up its mind and clings to both island and mainland. 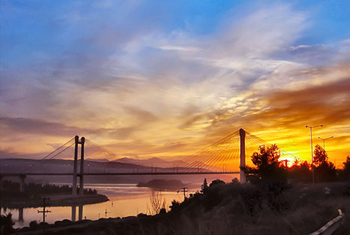 The capital Chalkida is linked to the mainland, by an old-fashioned swing bridge and a modern suspended bridge, which is part of the motorway from Athens. The city also hosts the terminal rail station of the northern suburban train of Attica. Ferries run regularly from Rafina to Evia's southern port of Karystos, while numerous other ferry connections exist in minor crossing points along the island’s coast. 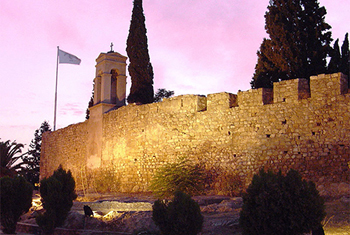 The ancient history of the island is characterized by the great rivalry between its two most important cities: Chalkida (or Chalkis) and Eretria. The two cities fought a succession of wars for control over the Lilantian plain, the plain that separates them, out of which Chalkida emerged victorious about the end of the 8th century BC. During the 7th and 6th century the prosperous cities of Evia sent out colonists to populated the Asia Minor, Southern Italy, Sicily and the region of Macedonia which is still called Chalkidiki. About the mid-5th century BC, the Athenians had placed the island under their control and they began settling it, thus creating long lasting bonds between the two regions. In 191 BC, Evia yielded to Rome and followed a period of decline, which was continued under Byzantine rule. After the dissolving of the Byzantine Empire in 1205, it was taken over by the Franks and the Venetians, who kept it until 1470 when it was passed on to the Turks. Since the beginning of the Greek revolt of 1821 the Turkish garrisons in the island’s fortresses where posing strong resistance and it was not until 1830 that the Sultan allowed the island to become part of the first modern Greek state. 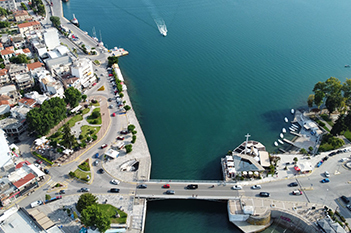 The Evripos Channel in Chalkida is surely Evia’s most noteworthy sight, and boasts a 2500-year pedigree as a tourist attraction thanks to the odd combination of land and currents, which make the tide change eight times a day. Since the building of the first bridge over the 30-meter wide narrows, in the 5th century BC, people have wondered over the phenomenon. Aristotle is reputed to have thrown himself into the sea in exasperation at his inability to explain it. Signs of antiquity are not very evident in the modern city and archaeology fans should head to the Archaeological Museum, which houses findings from all over the island. 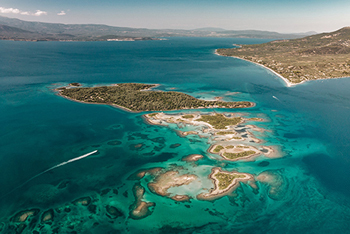 The remains of ancient Eretria offer better sightseeing. One can still see the city’s ancient theatre, the foundations of several important houses and sections of public buildings, complete with the best-preserved archaic period gate in Greece. There is something of interest to be seen at every turn in Evia. Towns brisk with tourist traffic and peaceful villages, apparently forgotten by time, wait to be discovered. 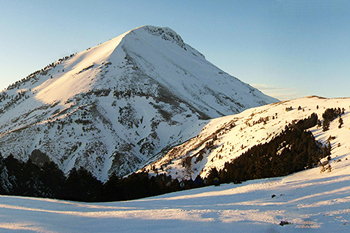 Going north - west we will come to Steni, one of the mounts tourist resorts of Evia. The difference shades of green, the steep mountains and the running streams together with the hospitality of the local people are the elements that will make you visit there unforgettable. Chalkida has a good sporting infrastructure, complete with a municipal stadium and an indoor sports hall. For water sports head to one of the plentiful organized tourist resorts. Most cheerful are those of Limni to the north and Eretria to the southern half of Evia. The surfers meeting point in the island is the hillside resort of Kymi, set on the eastern part of the island, facing the open Aegean Sea. The northern Evian town of Edipsos is Greece’s premier spa-town, which has emerged as a popular holiday destination since the late 19th century. Today it has modern spa accommodations and installations for hydrotherapeutic purposes. To the north there are also wooded mountainsides where mountain climbers can enjoy themselves as much as they opt. Chalkida is the favourite place of those enjoying seafood. The town is famous for its grilled octopus as well as for the varieties of shells and fishes, enjoyed better with a good quantity of ouzo. For a taste of the local artistry in cooking meat visit the mountain villages of Drifi to the north. Chalkida serves also as the main commercial centre of the region and it is the best place for shopping any kind of goods and in particular the locally produced honey, figs and splendid olive oil. Modern life in Evia thrives alongside splendidly preserved traditions. All over the island there are picturesque country fairs where genuine local customs survive. Evia is that close to the mainland that one may not except to see any distinct characteristics in its inhabitants culture and lifestyle. Even so, living on this mountainous island was never too easy; in fact the islanders were totally depending on the disadvantaged agriculture and coal mining to get by until the recent development of tourism. This may well explain the fact that life here has remained simple, and that people are originally openhearted and unpretending. The waterfront of Chalkida is very popular among young people for both day and night entertainment. Nevertheless, in Evia you will not find much noisy nightlife, apart from some bar and clubs in and around Chalkida and some other resorts. Evia’s short distance from Athens attracts mainly week-enders seeking some relaxations along the beautiful beaches and fresh air in the leafy mountainside resorts, but above all some peace and quite away from the city bustle. The island caters for both winter and summer tourism, offering the best environment for those who wish to combine business with pleasure and relaxation. Chalkida and Eretria have the best-equipped hotels for conferences, providing also a range of auxiliary services to ensure success of all types of meetings.